The above plant is my selection from the seedlings that resulted from crossing A. odora with A. robusta. 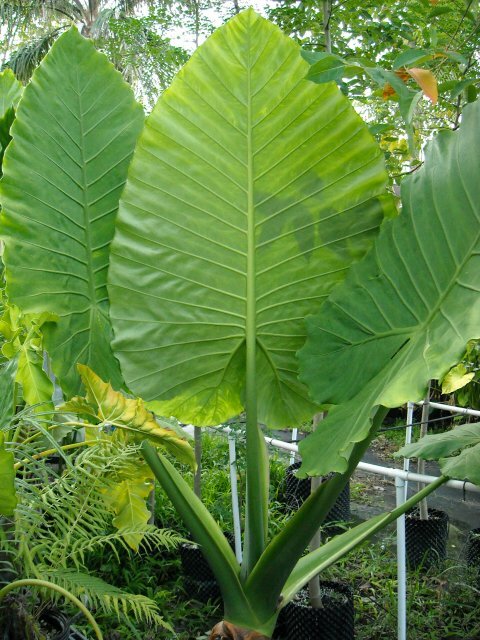 This one is called "Robudora SuperMax" because it has produced the largest leaves of all the seedlings I have grown out from the cross. This plant was in tissue culture limited release for a few years, but now it is no longer in production. I may still produce small quantities from corms as vigorous young specimens in 4 inch pots, and will announce such availability here. 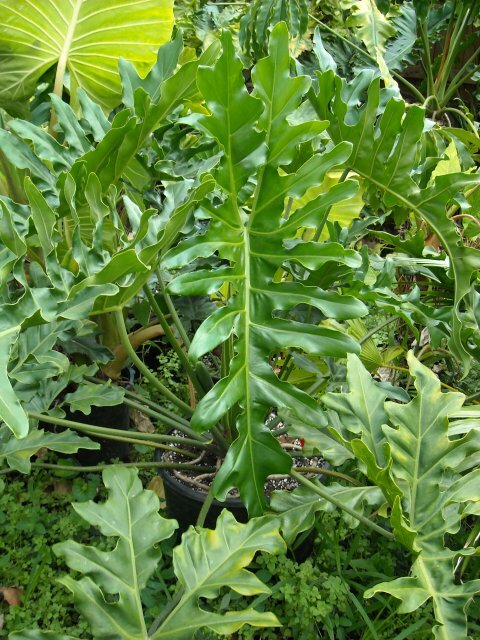 If you've been following the news on the Aroidia website, you know that my plant, Philodendron "Maharlika" took top honors at the 2009 IAS Show and Sale. This plant is from the same F2 cross but the leaves have deeper lobes than those on the original "Maharlika" leaves. I had this one in tissue culture limited release also but these are now sold out. PLEASE NOTE: You must email me first to check availability and to receive a complete quote for any order you wish to place. Do not send money unless you have already received an availability and quote from me. Click Here to email for current info on the 2011 new releases! If, for some reason, the email link above does not work for you, email your info request to AROIDIAN (at) att.net (no spaces). Thanks!